You’ve now seen all the wonderful kawaii gifts my sweet hubby gave me for Christmas, but what I didn’t mention in my last blog post was that he also arranged for some of my family to give me kawaii gifts this year too! My family are very happy to give me kawaii things for special occasions, but generally, they don’t know where to buy them. That’s where my hubby steps in. I adore Bear’s Honey Life but I had no idea they had released so many letter sets with these adorable bears. I wonder how many others I’ve missed! I must apologise for the reflections in the photo. For some reason, I was having a lot of trouble taking pictures today. These are single design letter sets. They were also released by Mind Wave. They don’t get much cuter than this! I don’t know why, but I love these characters, especially the giraffe. In this collection, all the animals have a very square, blocky appearance and for some reason, that makes them super cute. Mind you, I’ve always had a soft spot for giraffes. The final letter set from my parents is called Dreamy Prism. 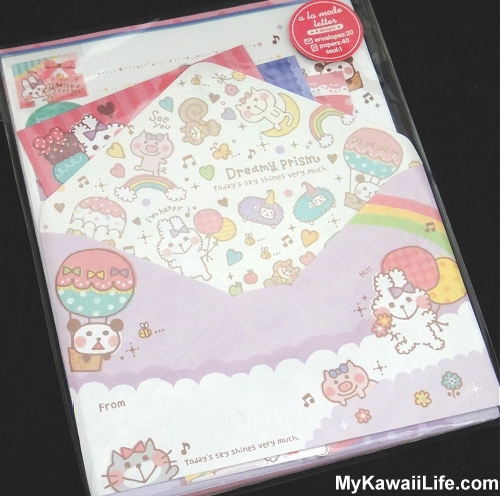 Yet again, this is a Mind Wave letter set featuring lots of cute kawaii animals. I love this design. I discovered the Dreamy Prism and Sweet Prism range about a year ago when I found sticker sacks featuring the same animals. The one on top is another Bear’s Honey Life letter set from Mind Wave. The Bear’s Little Sweets set in the middle is by Q-lia. 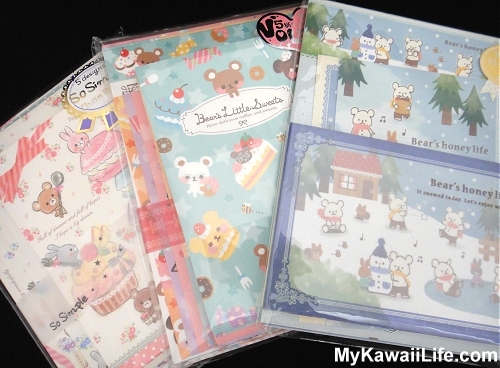 You can only see kawaii bears on the front but they only feature on three of the five designs inside. 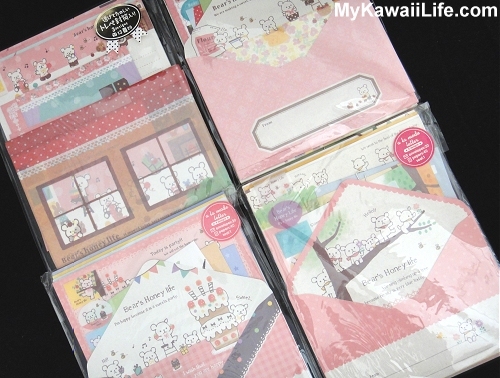 The other two designs are ‘Kitty’s Little Cosmetics’ and feature cute black and white cats and a range of make-up items. The third letter set is called Honey Collection and was released by Crux. 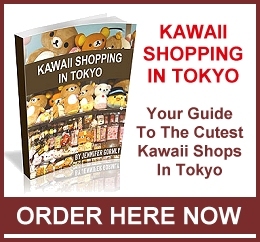 It features some adorable kawaii bears and bunnies as well as desserts like macaroons and cupcakes. Once again I have to thank my hubby for making this Christmas extra special and my family for all their wonderful gifts. And please, if you like any of my photos, please Pin them to Pinterest. It means the world to me when you do. 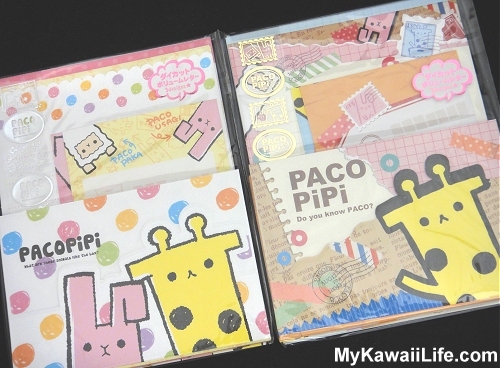 This entry was posted in Kawaii Stationery, Letter Sets and tagged Bear's Cocoa, Bear's Honey Life, Kawaii, Kawaii Bears, Letter Set, Paco Pipi. Bookmark the permalink. 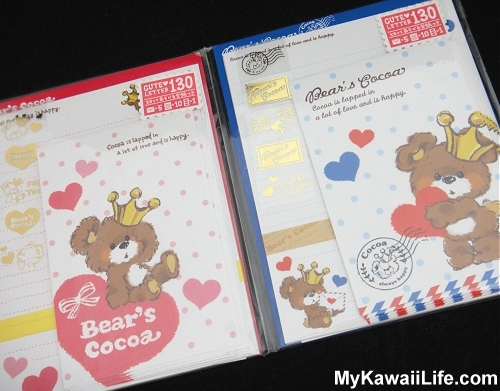 One Response to "More Kawaii Christmas Gifts"
I love Japanese goodies like these! Every time I come home, I buy myself a huge bag full of goodies. Pens, erasers, notebooks and all the other innovative goods, haha!